As a fourth-generation farmer, Rudy Jimenez has farming in his blood. Growing up in Salinas, California, Rudy’s father, who had been working on a conventional farm for 30 years, gave him a choice: either go to school, or you are going to end up in the fields. Farmworkers at conventional farms work 43 to 53 hours a week on average, and about 25 percent of farmworkers are living with total family incomes well under the federal poverty line. Rudy made a decision to stay in agriculture, but to do it his own way. 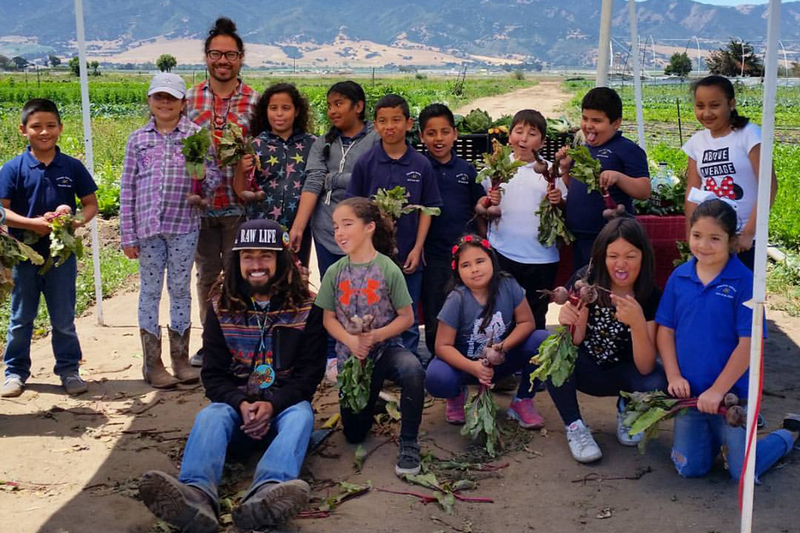 He now runs Green Thumb Organics, a three-acre certified organic farm in east Salinas, while offering health education programs for children of farmworkers in the area. Most of the children that his program serves have never been on a farm despite their parents being farmworkers. “They know that their parents work in the field, but they haven’t made that connection yet,” says Rudy. Despite Salinas Valley being one of the most productive agricultural regions in California, Rudy and his community don’t benefit from the food that is grown in the region due to most of it being grown solely for mass production for profit. California grows the vast majority of the country’s fruits and vegetables, yet tens of thousands of farmworkers in the Central Valley suffer from malnutrition, obesity, and diabetes because they cannot afford to buy fresh produce, which is more expensive than unhealthy, processed foods. Rudy also uses this opportunity to introduce children to a farm that is organic, so they can go back home and share what they learned with their families. Growing up in a farming family, Rudy witnessed his family members who worked all day in the fields with pesticides suffer from ailments such as tumors, cancer, and asthma. By the time he was 15 years old, he started experiencing health issues and connected it to living on a conventional farm his whole life, which inspired his quest for a healthier lifestyle. Green Thumb Organics is located on a plot at the Agriculture and Land-Based Training Association (ALBA), a 100-acre training farm that creates economic opportunities for low-income and aspiring organic farmers. The five-year Farmer Education and Enterprise Development (FEED) program at the Salinas Valley-based facility arms farmers with knowledge on how to launch a farm business, how to farm organically, and how to market the produce they grow. With his graduation from ALBA on the horizon, Rudy is looking at taking the next step, which proves to be one of the biggest challenges all small farmers face: finding land. 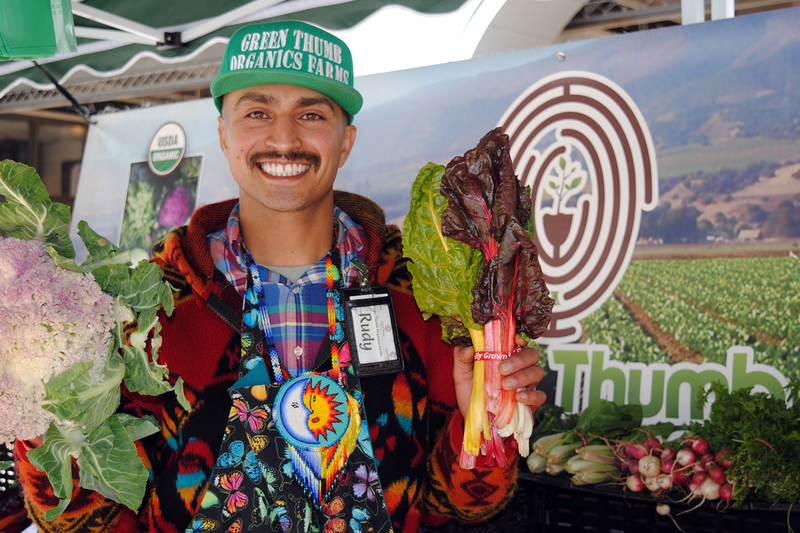 Despite this, Rudy stays optimistic as he sets out on his journey to be an independent, small farmer with an even bigger goal: to open up his own vegan restaurant in Salinas. The product of a legacy of immigrants and farmworkers, Rudy continues on his mission to nourish and provide learning opportunities for his community, like those before him. 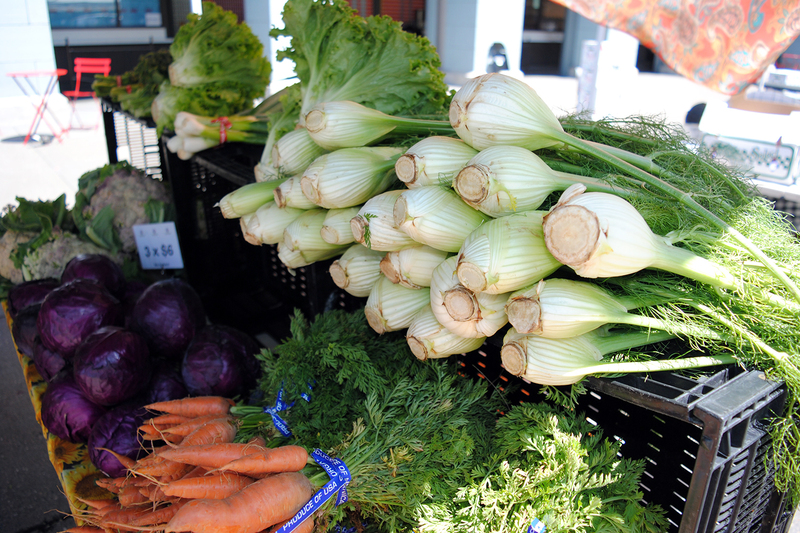 Visit Green Thumb Organics on Tuesdays at the Ferry Plaza Farmers Market.